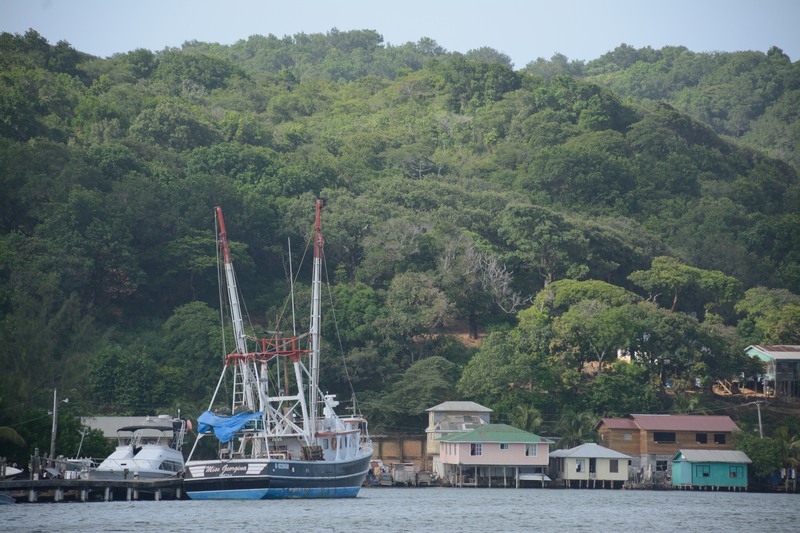 The seaside towns of Oak Ridge and Jonesville are not the first places that come to mind when you think travel and tourism in Roatan. For those who have not ventured that far east, you should know that these quaint little fishing communities boast some of the most unique and attractive scenery you can find in the entire island. They really have nothing to envy from the more popular tourism destinations on the Western side of Roatan, except perhaps for additional and better marketing, and no doubt, a more developed infrastructure. Should you decide to explore this part of Roatan we recommend you become acquainted with The Emeraldi Club, a local enterprise owned and run by a local by the name of Emeral Tennyson. 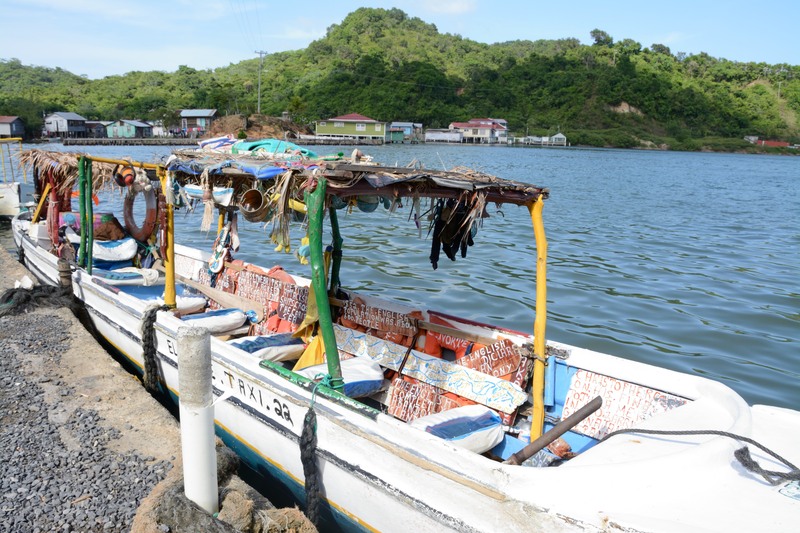 There is no better way to experience this remote location and enjoy one of the best sightseeing excursions in all of Roatan than by taking a ride in one of his two dug-out boats or “Dories” as they are locally known. The scenery is very much portrait-like with that particular mode of transportation being used by the local residents to travel in every which way, highlighted by a backdrop of interlaced hills that converge with the sea and meet with a bounty of creatively named commercial fishing boats and traditional wooden houses suspended on stilts clustered side by side – an image that takes you back to the Roatan of the 1980’s. 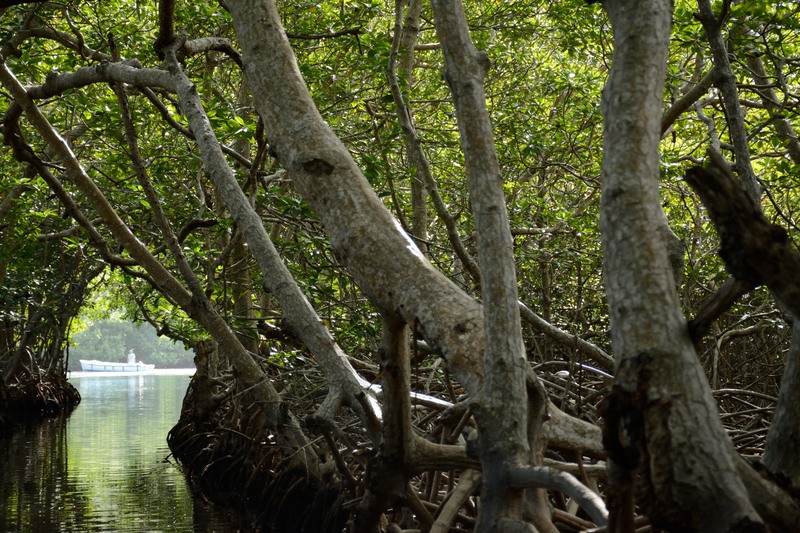 The main attraction however, has to be an intricate network of mangrove canals creating a canopy of dense leaves barely wide enough for boats to pass through. 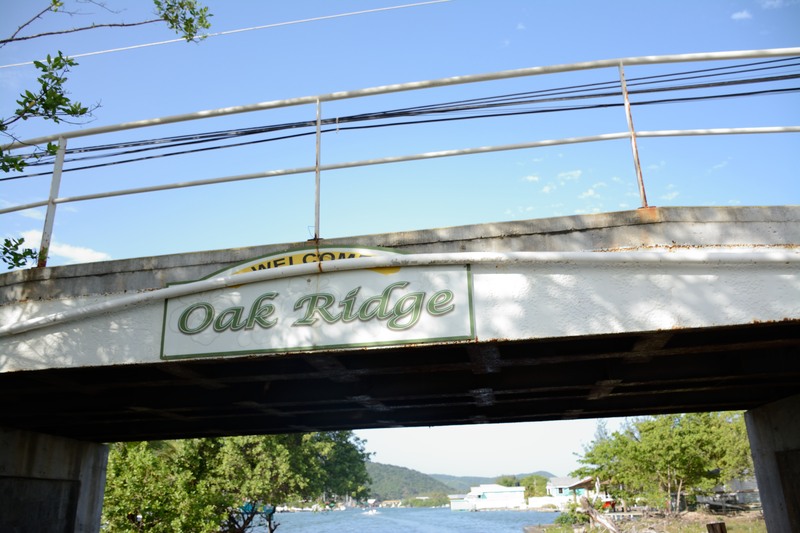 Add open bridges to these narrow waterways and “The Venice of Roatan” definitely fits the mold as a suitable nickname for Oak Ridge. Each dory possesses its own distinctive character and captivating personality. Let’s begin with the one that started it all, the one that goes by the name of El Norte. It used to belong to Emeral’s father and was aptly named that way because that was the route he took when he offered taxi services to that part of the island. Clearly, El Norte has seen passengers hop on and off for quite a while, and thus, odd bits and pieces began to pile up, left behind by previous customers. Wisely, Emerald took advantage of these peculiar articles, and began decorating El Norte with them, literally creating a floating work of art in the process. He took it one step further and started his own little tradition, prompting customers to purposely leave a little reminder of themselves behind. 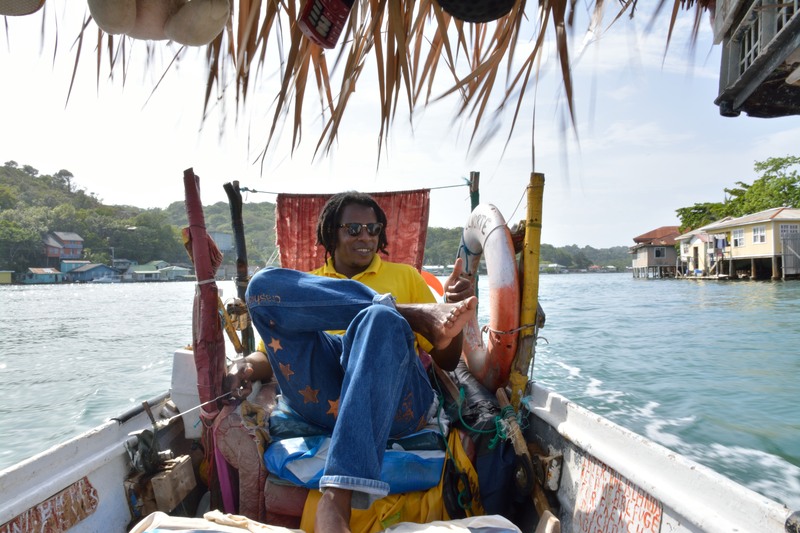 Items like kid’s toys, maracas, and even some old cell phones, are prominently displayed from the boat’s rooftop, with one customer purposely hanging a set of earrings only to come back and see them in the same place he had left them three years earlier. 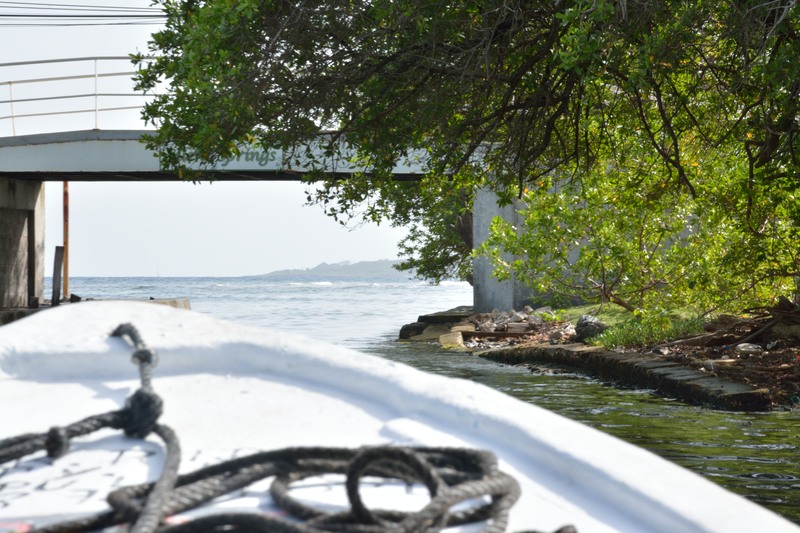 El Norte, just like the Zola.T., a newer Dory named after Emeral’s mother, possesses educational elements, filled with interesting historical facts and important dates going back to the times when British buccaneers occupied the island of Roatan. The Emeraldi Club disembarks from Oak Ridge and heads either westward passing through Jonesville, Lucy Point, Blue Rock, and Caribe Point, or navigates eastward past Fiddler’s Bight, Calabash Bight, Port Royal and on to Old Port Royal. 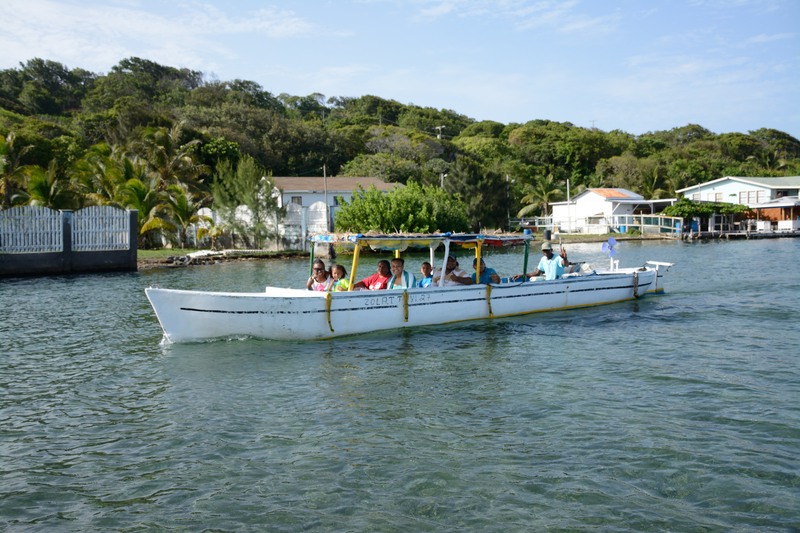 The tour is a very enjoyable and very relaxing 30 to 45-minute ride on well cushioned, weatherproof seats, plus a thatched roof that provides sufficient protection from the hot Roatan sun. 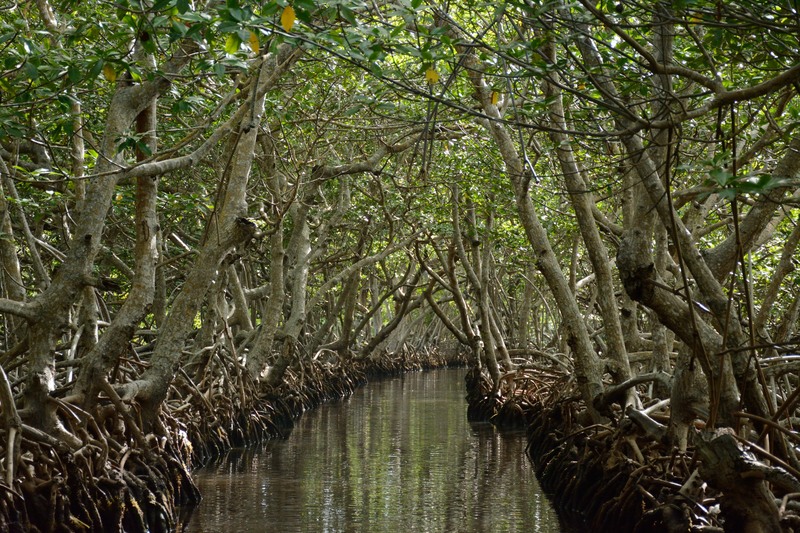 Emeral is quick to quiet down the motor to call out fun facts along the way like with the mangrove canals which legend has it, were once used by the Paya Indians (the island’s original inhabitants). There are also some houses that were destroyed by hurricane Mit ch where all that remains are the stilts they were built on. There are other notable points of interest along the way like a seafood processing plant, a church, and a cave found high a top a cliff. You even get a glimpse of Emeral’s own residence. He also offers snorkeling trips to nearby Horseshoe reef and Cow and Calf, these two gorgeous rock formations found closer to the pristine area of Port Royal. Ok, you may have heard by some that Oak Ridge can be quite far, but should you decide to make the one-hour drive from West End, we promise the amazing beauty this place has in store will not disappoint you. Keep in mind, that by choosing The Emeraldi Club you will also be supporting a micro enterprise run by a local boat captain, not a big tour company. 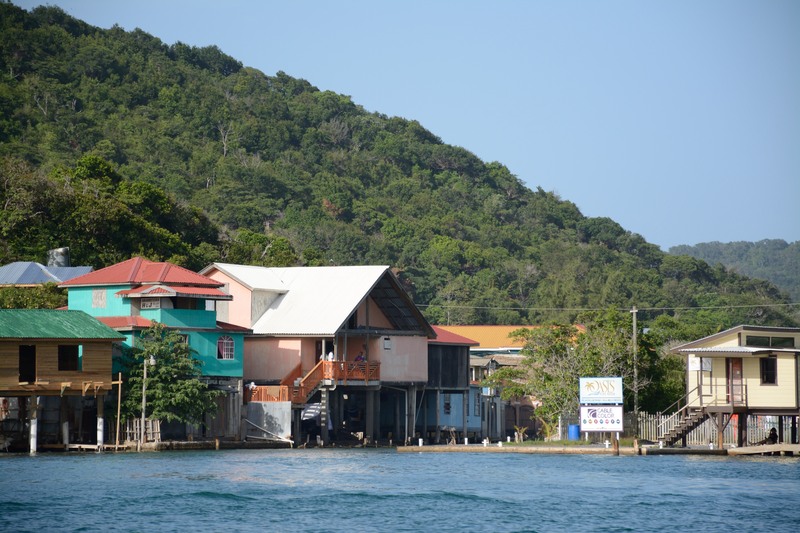 In return, you will get the real Oak Ridge in the real local dialect, undeniably a highly appealing and rich experience found nowhere else in Roatan. The Corozal Beekeeping Project – Working with Bees to Save the Reefs!